Though the industry is growing and prospering, initiatives by the government can help it go further. Salon and spa industry is a promising industry. It promises not only growth but varieties of services to its customers to enjoy the true meaning of rejuvenation. Some brands have been doing well to establish themselves in the wellness market as the future here always seems bright. 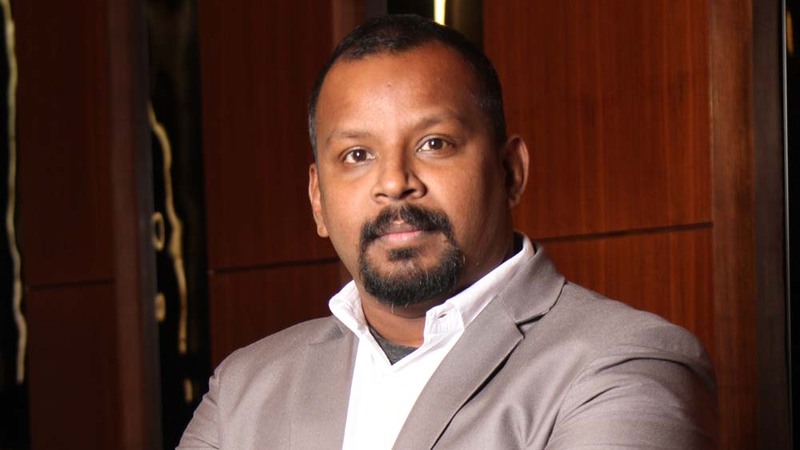 In a conversation with Dr Sam Paul, Director and Legal Head, Paulson's Beauty and Fashion Pvt. Ltd and Pauls System Technologies Pvt. Ltd., we find out his views on the organic products market and the initiatives government can take in lifting up the wellness and beauty industry. Tell us about your brands and collaborations, if any. We operate the brands Tony & Guy and Essensuals in the South of India, namely, Andhra Pradesh, Tamil Nadu, West Bengal and Orissa. We have around 117 salons currently. We use a lot of organic products for our spa services like we are exclusive with Seasoul and Dead Sea Minerals. They have an exclusive spa therapy based on these products. What is your collective view about the organic products market? I think it is very important that organic products be used and encouraged. Even if they are a little pricier, the government has to give some types of cutbacks to them. These minerals enrich the body and they are not as harmful as the other chemical products. We are also in talks for an organic makeup line and such products should be encouraged as right now whatever products we use are purely chemical. They are extensively used which is surely going to harm the skin somewhere. Having said that, I think organic is the way forward but it is still going to take some time to evolve completely. There are many products but on the basis of results, it still has to go through a lot of changes. The organic products line is still developing and I think it will be ready in the next 10 years or so. How do you see Toni & Guy’s penetration in the Indian market? We have two brands- Toni & Guy and its diffusion brand, Essensuals where Toni & Guy cater to the niche market and Essensuals caters to the mass product. In South India, we are the lead players right now and we have also thrown out some of the big players. This has been made possible by continuous training and audit process which is important. Toni & Guy are the only innovative centres in this field who can actually reach the mass market. We train our trainers who train other staffs and this is a continuous process. In the mass market, we have a very competitive price range as products start from Rs. 150 and the niche market we are a little higher with the price. So, we are there in the market and there is no question where we have to penetrate further. We are looking into getting into other territories where we are not there yet. How can the government join hands with the beauty industry? There are a lot of hiccups in the South for the beauty industry, for example, if we take up cross massages, it is not clearly defined whether they are really permitted or not. There is a lot of moral policing happening where police often come to the spas or salons in the name of raids or stuff like that. This creates a lot of ruckuses but if we see it from other perspective, cross massages are accepted worldwide. I would like to see our Indian government clearly defining the rules as we can’t keep practising 19th-century practices in the 20th century. The government should encourage skills and professions like hairstyling as right now many societies look down upon these fields as prospective careers. They should set up courses, collaborate with foreign institutions and take other initiatives. I think this is a very promising field as we also directly employ our 3000 hairdressers. They can also encourage innovative products as these products can also be made in India. What is Pushing the Growth of Swimwear Industry?.. Wellness is the New Trend..
Market Trends to Look Out For in 2019.. This Bistro Changed its Cuisine Philosophy..
Is Machine Learning A New Fad..
4 Ways you can Scale up Restaurant Business..
Tech transforming the Education Industry..
Overcoming Challenges in Restaurant Business..